I love road trips! This last one was quite the last minute adventure, but the planning all came together beautifully. The thing with road trips is that they are made for last minute planning because you have your car and the road, and the rest you can just figure it out as you go. 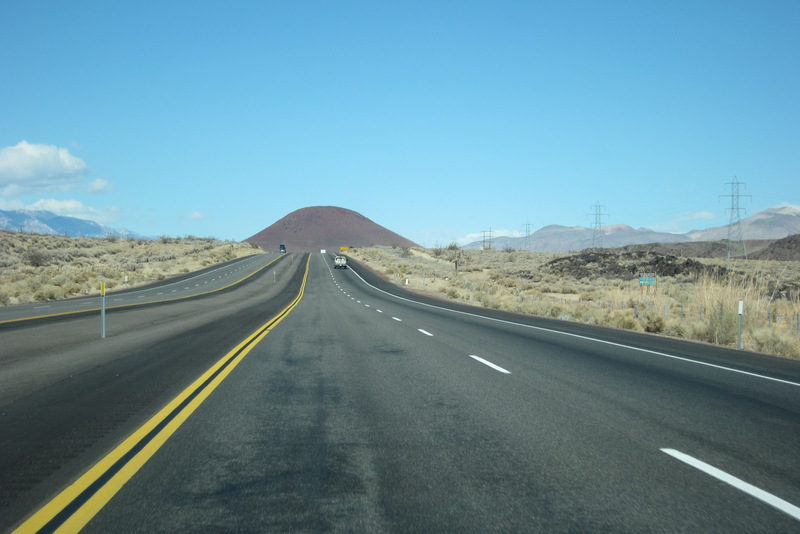 The distances can seem daunting, but that’s the fun of road trips, you make the driving part fun. 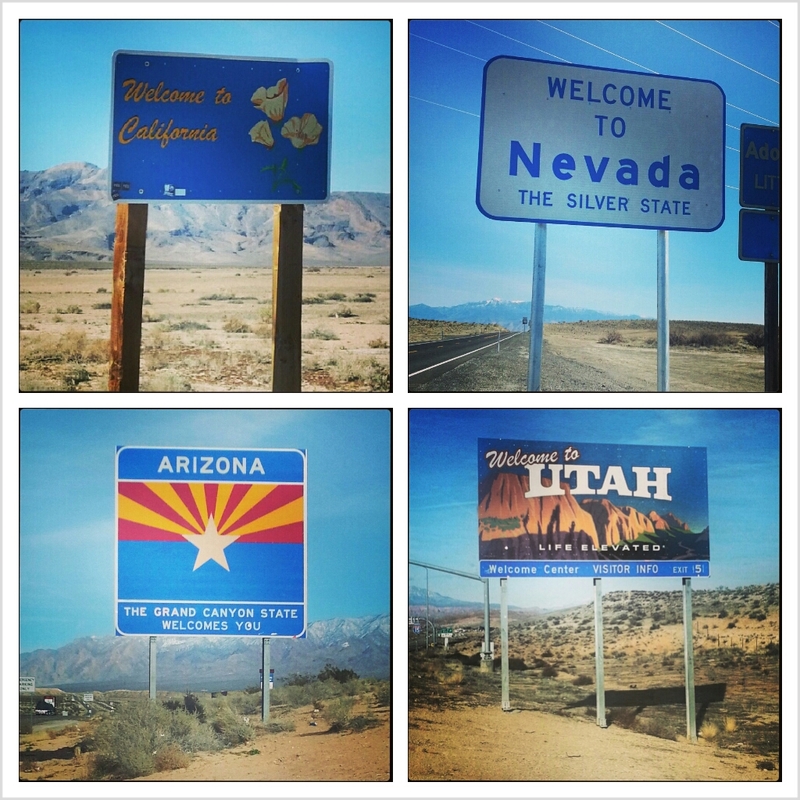 We drove through 4 states (CA, NV, AZ, UT), but we stayed in just 3 of them (CA, NV, UT). Mileage: About 1500 miles round trip. Journey: Bay Area, CA (A) > Death Valley National Park, CA (B) > Zion National Park, UT (C) > Las Vegas, NV (D) > Bay Area, CA (E) (with numerous stops in between). 3 people (me, Cynthia, Diane), splitting up the driving between about 2-3 hour increments. Walking up and down the Mesquite Sand Dunes of Death Valley, and relaxing at the top of a sand dune as the sun set. 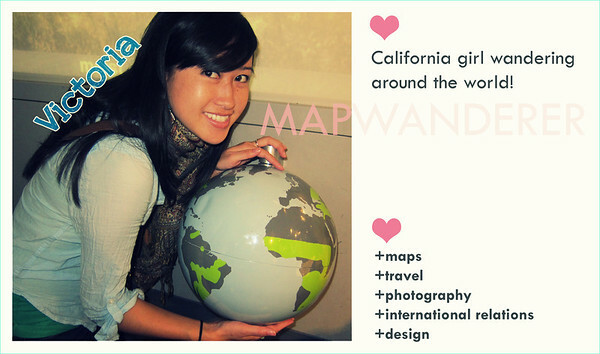 Listening to Phantom Planet’s “California” many many times on the drive. 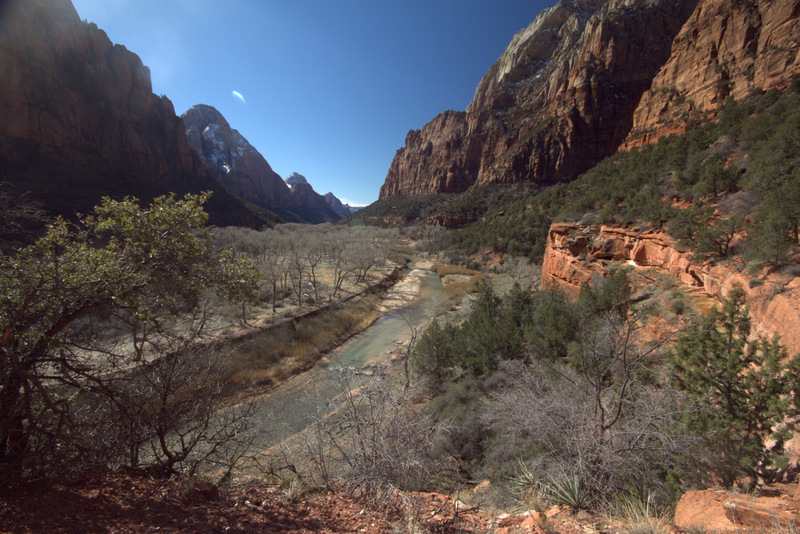 The great views and scenery on the entire drive – especially the red paved roads going towards Zion. Getting to stop at all the state signs to take a picture. 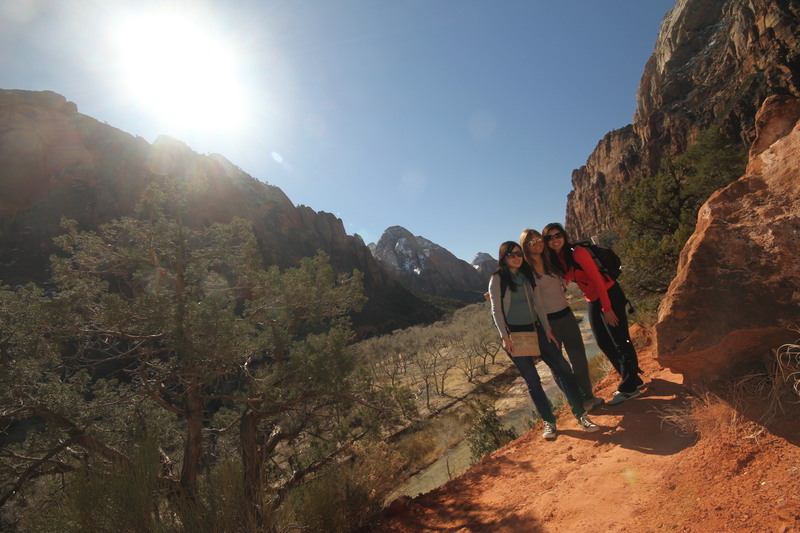 Hiking on the Kayenta Trail to the Emerald Pools for a great view of Zion valley. Being rebellious and climbing over “trail closed” signs. Clear blue skies for most of our trip! Listening to dance music as we approached Vegas. VIP entrance with open bar to Surrender Nightclub all for free. 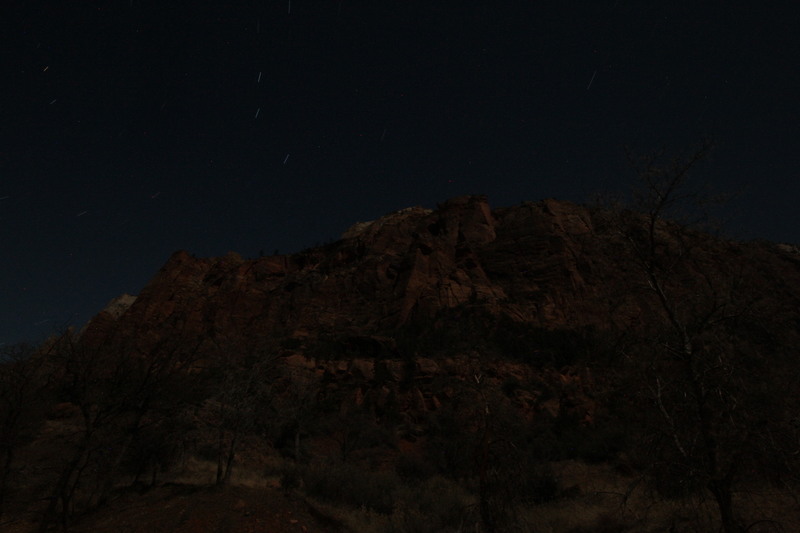 The beautiful Riverside Trail upon first arriving to Zion. Driving towards Badwater Basin as the sun was rising, creating pretty pink skies. Death Valley and Zion National Parks are both excellent, and really put into perspective for me how beautiful and amazing nature is. I was in awe of my surroundings, and I kept thinking to myself, “Wow, this is all nature”. Sometimes being in cities makes you forget what’s outside these areas full of buildings and roads – nature at its best. Waterfalls, rivers, cliffs, mountains… Lovely! 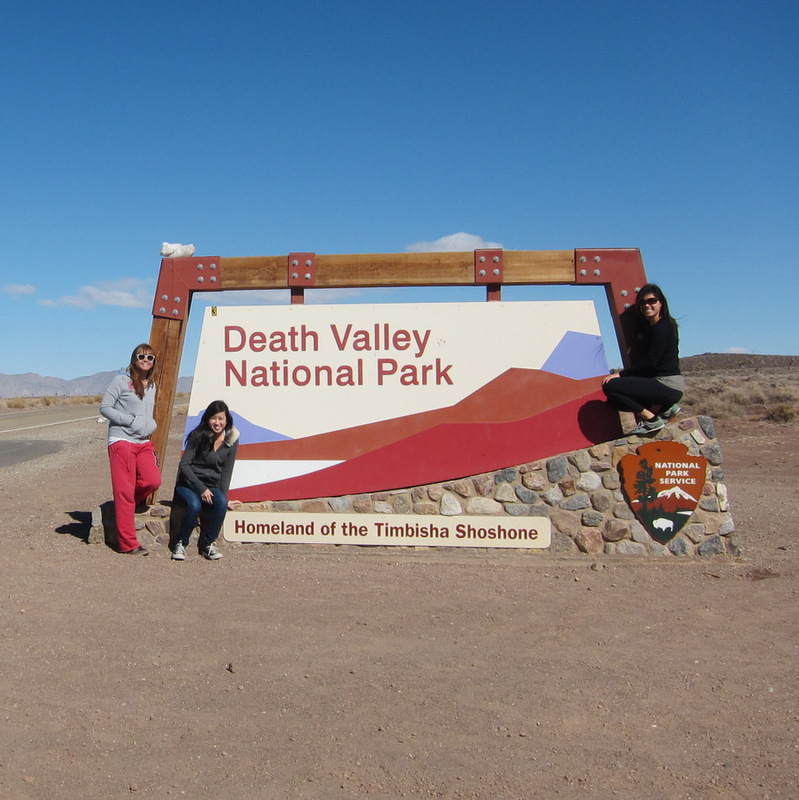 We stopped at the Death Valley National Park sign. 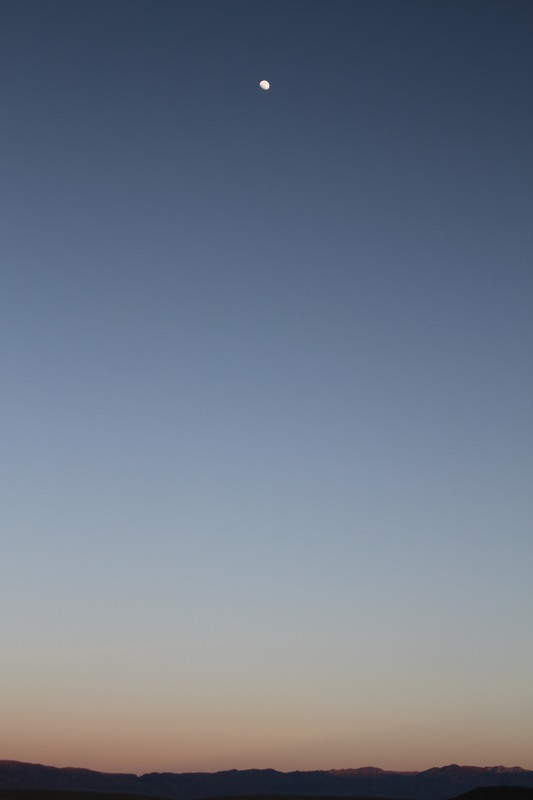 The moon came out as the sun was setting while we were at the Death Valley Mesquite Sand Dunes. 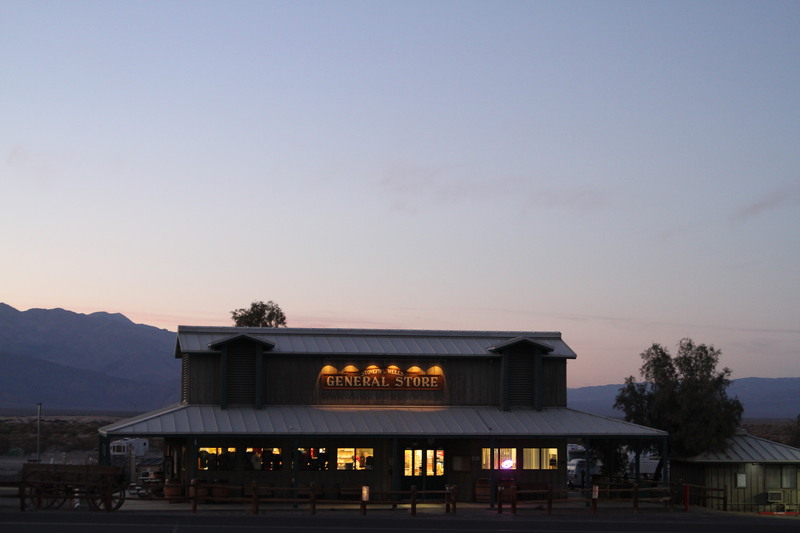 The General Store at the Stovepipe Wells Village in Death Valley, CA. 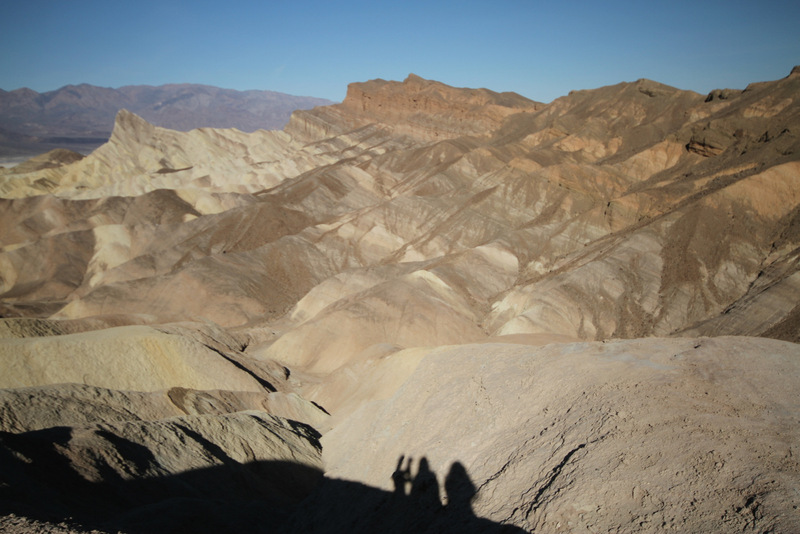 The view from Zabrinskie point in Death Valley. 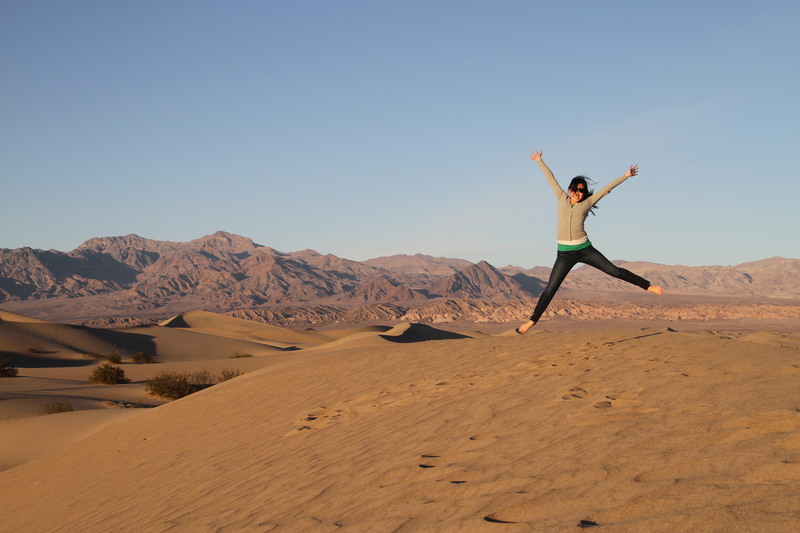 Jumping at the Mesquite Sand Dunes! 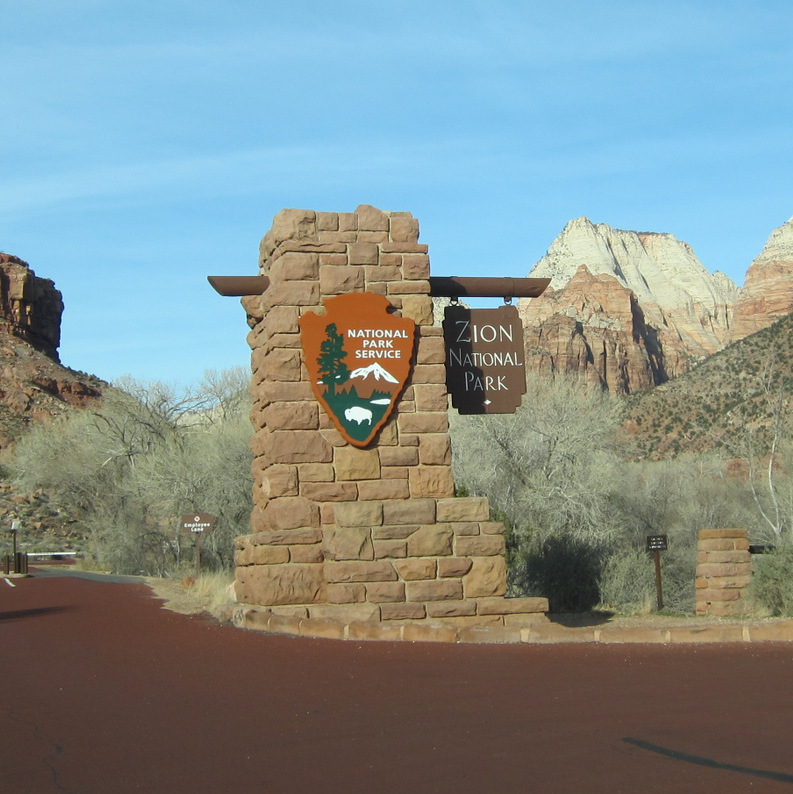 Red paved roads to Zion National Park! 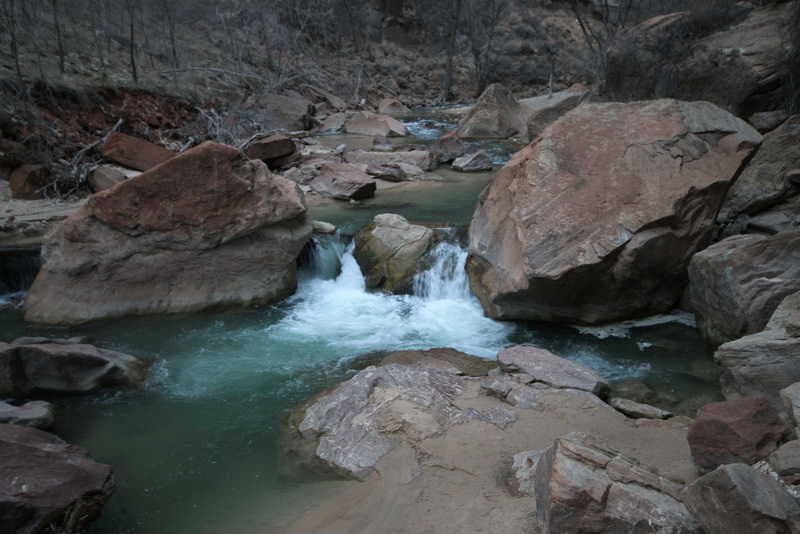 Waterfall seen on the Riverside Walk in Zion National Park. My first attempt at photographing star trails. This was the view from our room’s balcony. 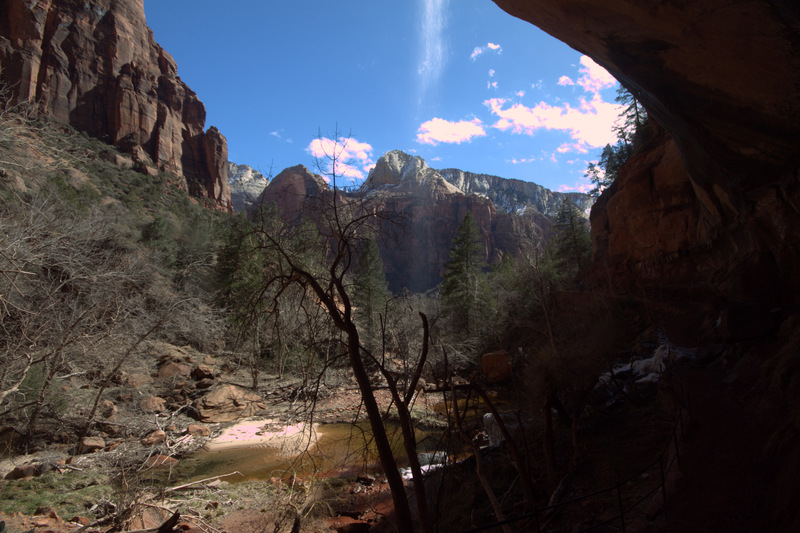 Kayenta Hike to the Emerald Pools and the view of the canyon from it. Stopping for a group photo on our hike. Emerald Pool and the views from it! 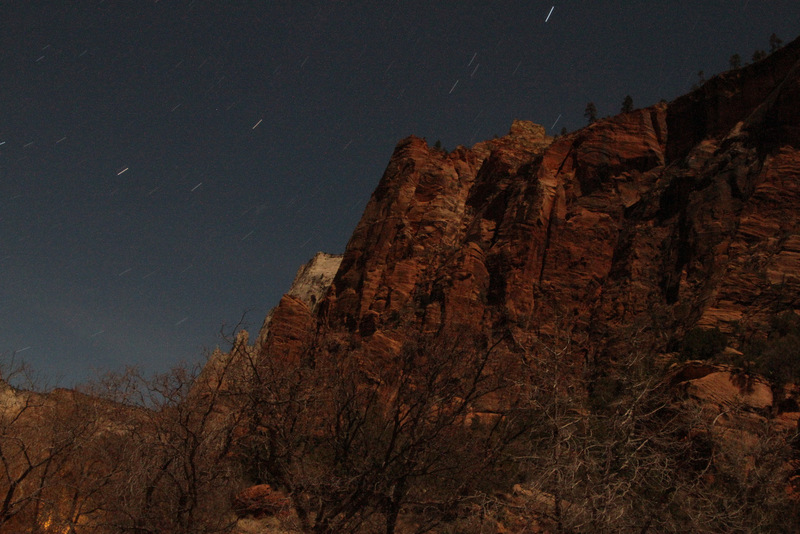 Another attempt at photographing star trails at night at Zion Lodge. 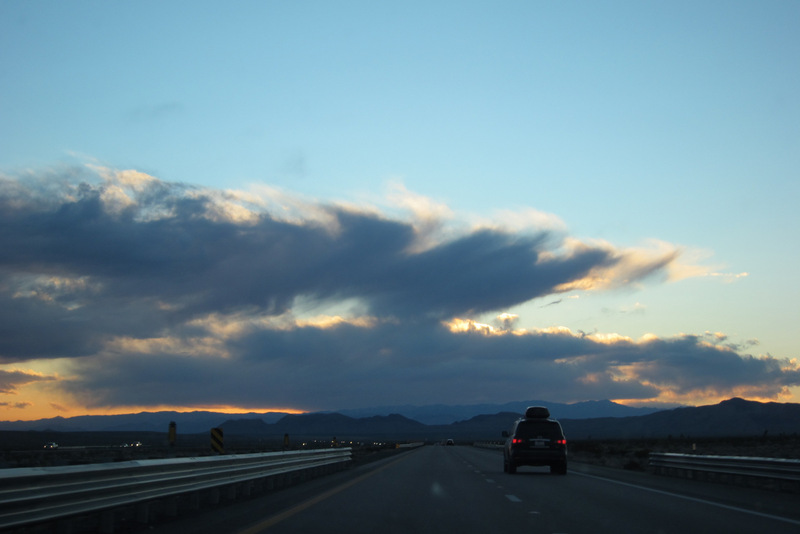 Sun setting as we drove to Vegas.